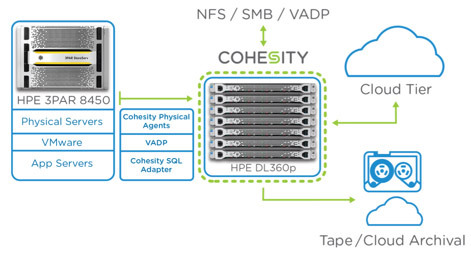 Cohesity and HPE have joined forces to deliver a solution that combines Cohesity software with HPE servers to consolidate and simplify secondary storage for the enterprise. This is a very natural partnership that allows both companies to play to their strengths for the benefits of our joint customers. We combine Cohesity web-scale software with the HPE market-leading Proliant x86 server platform in a single, validated solution, available through the HP Complete program. Core to the solution, Cohesity DataPlatform simplifies data protection and consolidate all secondary storage silos in the enterprise. Customers can use Cohesity DataPlatform to consolidate backup software, target storage, files, objects, and cloud gateways on one unified scale-out infrastructure. 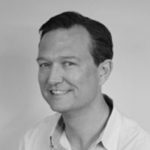 DataPlatform is software-defined, and all our innovation resides in the software layer. But many of our customers want to consume our solution as a single integrated software + hardware appliance to simplify procurement, installs, and configs. Hence we have given customers the option of purchasing Cohesity software, or Cohesity C2000 appliances which are built using industry-standard x86 nodes. With HPE, we’re now providing customers with an additional option to deploy Cohesity on HPE Proliant servers. Customers benefit from procuring their underlying servers and networking from an industry leader, who certifies the entire solution. HPE has the scale and the experience that comes from being the largest player in the industry, and a broad worldwide distribution network. Customers get the best of both worlds: Cohesity software and HPE hardware, delivered as a single solution. The joint solution has been thoroughly tested and validated by both Cohesity and HPE. And customers get the peace of mind of having HPE Interop Assurance. We’ve worked closely with HPE to test and qualify the best ProLiant configuration for Cohesity DataPlatform. We settled on an HPE DL360 configured with 2 TB of PCI-e based flash and 24 TB of HDD capacity. These specs look very similar to the ones we use for the Cohesity C2500 nodes. But with a different form factor: the HPE DL360s are 1U rack-mount servers, whereas the C2500 comes in 2U / 4node blocks. As part of our joint solution work with HPE, we’ve also created a reference architecture that combines the best of HPE and Cohesity products. It includes primary applications consisting of Linux and Windows physical workloads, as well as vSphere virtual machines. These primary apps are running on ProLiant 380 Gen 8 servers and high-performance storage provided by a 3PAR 8450 AFA. Cohesity is deployed on ProLiant 360 Gen 9 servers and provides converged data protection, SMB file shares, and instant cloning of data for test/dev use cases. Many of our customers also tell us they prefer to purchase a single solution on one vendor PO to simplify the procurement process. To this effect, Cohesity is available as an HPE Complete solution. Customers can purchase a complete solution, including HPE ProLiant certified nodes and Cohesity software, on one HPE purchase order. And customers get the full confidence of purchasing a complete solution from their trusted supplier, with the backing of HPE Interop assurance validation and solution report. For more information, please enquire with your HPE Account Manager, Cohesity Account Manager, Solution Provider, or visit the HPE Complete program.